For the first time since he entered the presidential race, Sen. Bernie Sanders (I-Vt.) is besting former secretary of state Hillary Clinton in an early-state poll. A survey conducted by Franklin Pierce University and the Boston Herald shows Sanders leading Clinton 44 percent to 37 percent among Democrats likely to vote in the New Hampshire primary. Vice President Joe Biden, who has not entered the race, drew 9 percent in the poll, which was conducted over the weekend and released Wednesday. Its margin of error was plus or minus 4.7 percent. "It just shows you that the more people know Bernie Sanders, the more they like him," says Sanders spokesman Michael Briggs. 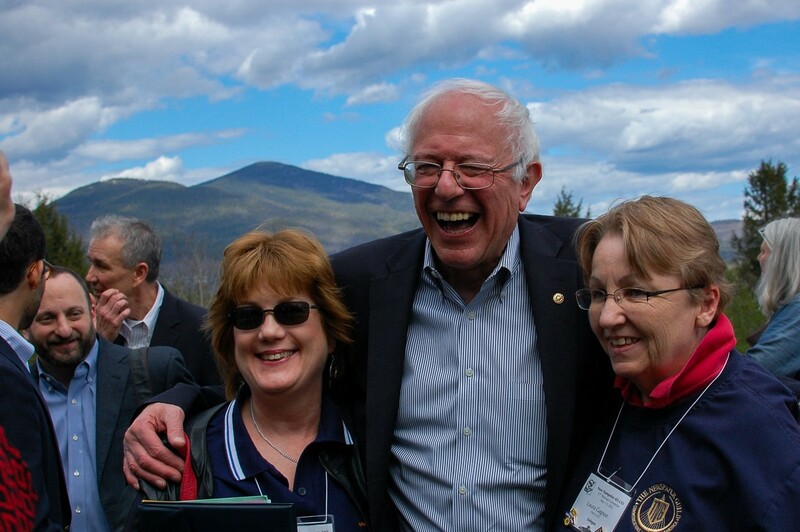 Indeed, the percentage of Granite Staters with a favorable opinion of Sanders has grown by 20 points since Franklin Pierce last polled the state in March. Now, 76 percent view him favorably, compared with 80 percent who view Clinton favorably. The intensity of Sanders' support appears to be significantly greater than Clinton's. The poll found that 54 percent of the state's Democratic voters view him "very favorably," while only 36 percent feel the same about his chief rival. Similarly, while 44 percent said they were "excited" by his candidacy, only 35 percent said so about Clinton. Still, New Hampshire Democrats aren't convinced Sanders will prevail. Nearly two-thirds of those polled said they thought Clinton would win the Democratic nomination, while only 11 percent thought Sanders would. Some analysts also remain unconvinced. A day before Franklin Pierce released its poll, FiveThirtyEight's Harry Enten argued that Sanders' rapid rise was stalling out. "No longer is Sanders surging," Enten wrote. "He has surged. From now on, picking up additional support will be more of a slog." Not so much, says Briggs. Citing Sanders' growing volunteer lists and massive rallies, he argues that his boss' message will continue to spread. "People have been underestimating Bernie Sanders for a long time," Briggs says.